In Part 1 I outlined the fact that we’re all called to contend for the faith. This includes witnessing, protecting the message from corruption, and correcting ourselves and others when the message is corrupted, which inevitably tends to happen. I also addressed what I call ‘drive-by commenters’. Though we all read the same Bible, Christians disagree. What is the root of disagreement? In part 2 I outlined three reasons why disagreements arise. In this part, I offer some biblical ideas about how to positively engage in civil discourse that becomes contentious. And there’s the rub. The Bible offers lots of verses on how to speak civilly, but also offers contrasting examples of people delivering their message both civilly and in seemingly uncivil ways. Name calling? Rough language? There sure are some mixed messages. For example, on the one hand, James 3:10 says let not praise of Jesus and cursing of men come from your lips. Yet Paul praised Jesus in Galatians 1:5, and in verse 8 he pronounced a curse on the false Christian men leading his flock astray! He let praise and cursing come from his lips, and in rapid fire succession, too! Though skilled in every kind of discourse, Paul also employed holy sarcasm. Can we be sarcastic too? Maybe. Maybe not? I am not suggesting that the Bible is in error in any way. The examples of the Bible writers were not prescriptive, merely descriptive. The Holy Spirit inspired all the men to write what they did. Jesus speaking to the Pharisees, well, He’s Jesus! But I am saying that we should be discerning as to when to use which rhetorical device. Proper discourse takes tact and maturity, caution and patience. Sometimes in the heat of the moment, I lack all four! Gah. Erring on the side of gentleness is best in all cases. I say this from sad experience. In searching for articles related to civil discourse and theological discourse, I found this one from the magazine published for Methodist Seminarians by Stephen Rankin titled Christian Ethics: Christian Witness in Trying Times. I don’t know about the author in general nor the publication itself, but I liked the article. In it, the author sorts through the various verses that speak to “a Christian engaging a whole range of contentious matters and doing so with both charity and bold truth-telling.” It’s a difficult line to maintain, for me it is, anyway. One caveat: I do not intend to say that civil discourse means agreeing with others in different faiths. Being civil does not imply agreement. If you Google “fostering civil discourse” combined with the word “Christian” you’ll receive lots of pages teaching that civil discourse means agreeing foundationally at some level “with the LGBT community”, or that persons in “an Abrahamic faith such as Christians and Jews and Muslims all have the same spark of God-knowledge in them”, and so on. Being civil in discourse does not necessarily mean agreement. It is a kind of discourse that acknowledges that we have disagreements – even within and among Christians – but maintains a kindly relationship even as we seek to persuade all men anyway. (2 Corinthians 5:11). This is increasingly difficult to do in these do not judge, angry, flash-point times. Here is a pertinent excerpt from Mr Rankin’s article. In it, he had given several personal or cultural examples of discourse, then said let’s go to our sources, the Bible. As we practice thinking about civil discourse, what biblical and theological resources come to mind? The temptation to ask, “What would Jesus do?” I cannot resist, so let us see what we can find by looking at the Gospels. In the Sermon on the Mount, we hear of the blessedness of meekness, of mercy, of being peacemakers. Later, in Matt 5, we read Jesus’ injunctions about how we express anger and to reconcile quickly with our opponents (5:21-26). Yet this same Jesus in the same Gospel refers to those religious leaders who opposed him as hypocrites, white-washed tombs, and snakes (ch. 23). It is not so easy to get a clear and unambiguous picture from scripture as to how to engage in conflict with opponents. By today’s standards, would the Apostle Paul be guilty of “uncivil” discourse? Consider his recounting his confrontation with Peter in Gal 2:11, “But when Cephas came to Antioch, I opposed him to his face” (NRSV), and he goes on to explain what he saw wrong with Peter’s action around Gentile Christians. The whole letter to the Galatians shows Paul’s alarm and he uses, at times, very colorful words to issue his warning. Paul could be one tough customer! We do not find, therefore, a simple rubric for engaging in civil discourse, yet we need scriptural guidance. Romans 12:14-21 is full of gentle wisdom, especially v. 18: “If it is possible, so far as it depends on you, live peaceably with all” (NRSV). “If it is possible….” Sometimes it isn’t possible. You cannot control the other side of the debate. All you can do is be responsible for you. But this is where the other injunctions found in this passage come into play: Don’t repay evil for evil (as in railing for railing). Leave vengeance to God. Overcome evil with good. And, to go back to Jesus’ words in the Sermon on the Mount: “Love your enemies and pray for those who persecute you” (Matt 5:44, NRSV). If I can manage to follow these points, I’ll do well in conflict. The second passage that consistently comes to mind as I contemplate the goal of civil discourse is Eph 4, especially v. 15: “But speaking the truth in love, we must grow up in every way into him who is the head, into Christ” (NRSV). As with Rom 12, this passage addresses a community of Jesus’s followers, and a particularly relevant one for our consideration. Ephesians 2 shows that this congregation is made up of Jew and Gentile, culturally distinct and often suspicious of each other’s backgrounds – a breeding ground for hostility. The immediate context of ch. 4 speaks to the link between sound doctrine and growing to maturity – to the full measure of the stature of Christ. 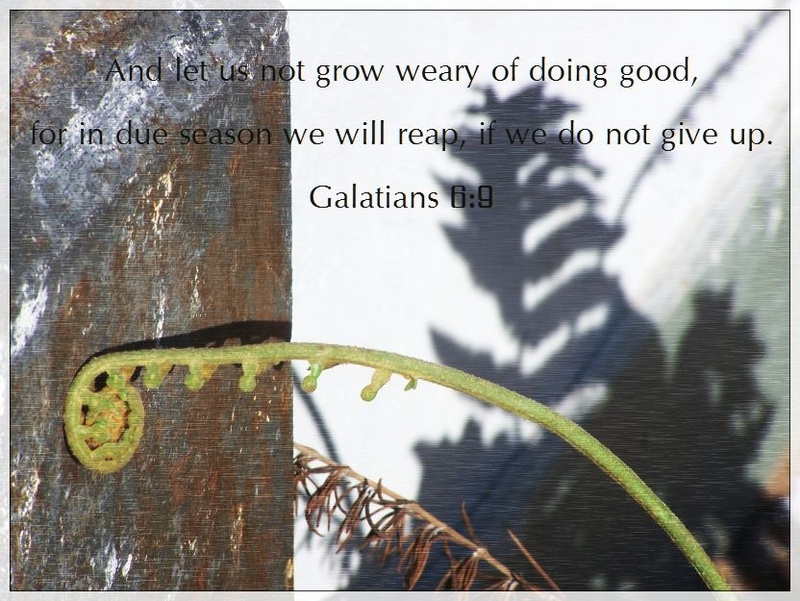 It’s good to remember the point of theological discourse – growth. Whether it’s the doctrinal edification of a brother, or my own growing fruit as I exhibit patience and gentleness, good discourse should be profitable for all involved. In truth, we disagree on a significant range of theological and ethical questions, no matter what our denomination’s official stances may be. We, likewise, must with courage and gentleness engage the core issues of the faith, around which we commit to the unity of the Spirit in the bond of peace. This desired aim takes work, persistence, courage, and epistemic humility. The Ephesian Christians – made up of Jew and Gentile alike – had to do the same kind of work. Those precepts make sense to me. Whether it’s Methodist against Methodist as in Mr Rankin’s example, Jew v. Gentile, Christian v. lost person, Arminian v, Calvinist, no matter what the level of polarization seems to be, it’s difficult to maintain the “civil” in civil discourse. Yet we must. I believe it’s incumbent upon Christians to provide the example for right speech in the world. If we can’t or won’t do it, who will? We have the Spirit. How to apply all this? 1. Wait. Knee-jerk reactions to an abrupt comment doesn’t advance the conversation. And that is always the goal. Advance the conversation- not my agenda. 2. Pray. Pray for the Spirit to create a right attitude in you. Before you answer and during the waiting, whether it’s a few minutes or a day, pray for your heart and the other person’s heart to be opened to biblical truths, spoken boldly in love. Or, if you prefer, spoken in love with boldness. 3. Use more scripture, not less. Use the Lord’s words. Those are the ones that penetrate. Not our persuasiveness nor our opinion. Also, I don’t engage with straw men. That’s when someone asserts I’ve said something in my essay that I hadn’t, and then argues from that incorrect position. I don’t waste time correcting them. I simply say that I hadn’t said that, and if they’d like to continue conversing, which I would love them to do, please copy-&-paste the pertinent part from my essay from which they would like to launch a discussion. Straw men are a passive-aggressive way to derail your thread and get the commenter’s agenda out there. Guard your comment stream. I also do not allow drive-by commenters. I addressed this in part 1. I do not allow someone to post links to places where bad doctrine abounds. I rarely allow a link at all, unless it’s to a really credible ministry I don’t have to take a lot of time to investigate links. I need to stay focused on the ministry at hand, not follow someone else’s rabbit trail, as sincerely as they may have offered it. I don’t allow people to post bad doctrine. I’m responsible for what happens under my name, and I’m careful and ruthless in this regard. Sometimes I am charged with ‘limiting free speech.’ This is a ridiculous assertion and do not let it guilt you. No one has a “right” to post undoctrinal things under the banner of my name. You would not allow it in your home and you shouldn’t allow it under your social media. I view my Facebook, Twitter, email, and blogs as part of my home. They are an extension of me and a reflection of me. Which is to say, they are a reflection of Christ in me. Guard the deposit. Although most of us likely feel caught in the middle (the left, right, and center/middle construal is not helpful, but that’s another matter), we are effectively being forced to have an opinion about serious matters. We all have Facebook friends who post unguarded and sometimes cruel comments. How do we manage? Inevitably, as followers of Jesus we will either cast him in a good light or a bad one. Our goal must always be to represent Christ faithfully, especially in the heat of the moment: to love our enemies and pray for those who might spitefully use us, even while we speak the truth to them. If you adopt one or more of the scriptures listed here or in part 2 as your foundation for theological discourse, then the application will happen in an organically spiritual way.